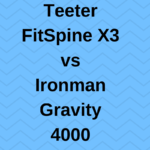 In this review, I will take a look at the Ironman Gravity Inversion Table 4000. 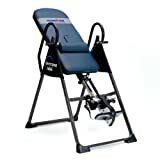 I will discuss the features and benefits of this inversion table, and what you can expect if you were to purchase one. 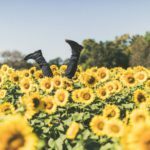 With so many inversion tables available today it can be hard to find just the right one. I have used inversion tables over the years, and my goal is to shed some light on this model from Ironman. With that said, let’s get right to it! Inversion tables help to elongate the spine and take pressure off of the discs. By inverting, the discs are able to recover and rehydrate. I use an inversion table as I have chronic sciatica and inverting really helps me out. Some people have tight muscles, or herniated discs, just a few of the conditions an inversion table can help with. It’s best to check with your doctor to make sure you are fit to use an inversion table, as people with certain medical conditions should not invert. You may also want to check out my inversion table guide here. For starters, this table is able to support users up to 350 pounds, which is definitely more than most tables on the market today. People come in all shapes and sizes, so it’s nice to know that this table can be used by a wide variety of body types. The table is made from tubular steel and is very sturdy. There are protective, rubber non-skid floor stabilizers, on the bottom of the inversion table so you can be sure it will help to protect your floors. Also, this will help to keep the table firmly in place when you are upside down. To me, this is one of the most essential parts of an inversion table. After all, you will literally be hanging upside down by your ankles. You need a comfortable solution that will protect your ankles, feet and distribute your weight evenly. This unit has ergonomic ankle cushions that cup the front and back side and provide a secure and comfortable fit. Most people have said the padding is adequate. There is no pinch point pressure while you are inverted. Another super important feature is the extended release handle. This provides an easy way to release (or escape) from the table when you are finished. I wish more inversion tables had an extended handle release. This extended handle makes it, so you don’t have to bend over very far to release yourself. From experience, I can tell you this feature is invaluable. I have been in situations, recovering from an injury, where I literally couldn’t bend over, so the extended handle is a must in my opinion. Also, the ratchet locking system allows you to get just the right fit for your ankles, not to tight and not too loose. Inverting with the ankle lock too tight is not fun, and if it’s too loose, you feel like you are going to end up on the floor. The adjustable user height is pretty easy to set up here as well. You want the table to move back easily to the upright position, almost effortlessly. Ideally, you should be able to control your movements with your arms. You shouldn’t have to strain to return to the upright position. There are preset height settings on the unit, and all you do is pull the pin and slide the bar to select your height. Sometimes, depending on weight, or if you are between heights, you may have to adjust the setting slightly. For instance, if you are 6’0” and the table is difficult to rotate up and down, you may need to try the 6’1” setting. You can play with it and make sure you get it set up correctly. Most people will just need to set the height accordingly and go with that. There are two methods that inversion tables are equipped with to set the angle you are going to invert at. One uses a preset push pin mechanism, and the other is a tether strap. The push pin mechanism has preset angles, like 15, 30, 45, degree, etc. This IRONMAN unit employs the tether strap method. I tend to favor the tether strap as you can literally set the angle anywhere you want. The only drawback is figuring out what the angle is precisely. I like the customization of the tether style. To each their own with this debate. This particular model has a thick memory foam pad which is really easy on the back. There is an included lumbar support for your lower back, should you decide to use that as well. The bed is wide and sturdy, and as mentioned earlier the table can support up to 350 pounds. Ah, the fun part, you will need to assemble the inversion table. It is really helpful to have two people. You can do it by yourself, but it will take longer and probably be more frustrating. If you really don’t want to put it together yourself, assembly is available for an extra charge. Okay, so they always promote how these inversion tables fold up, and you can store them away. Well based on my experience, it’s not that easy. If you are using an inversion table to recover from a back injury, or you are in pain, the last thing you really want to do is haul a 75 pound, awkwardly shaped inversion table very far. I find it is easier to keep it in the room I am using it, like an office, spare room, or basement and then yes, you can fold it up, but just lean it against the wall. These tables are difficult to store underneath a bed, or in a closet. This is just some friendly advice from a guy who uses an inversion table on a regular basis. The table comes with extended handlebars, which are helpful for returning upright. Although if you have the table set up correctly for your height, you really shouldn’t need to use the handles. You can fully invert with this table. Whether that is 90 degrees or 180 degrees, I am still not sure what to call it, but either way, you can be completely 100% upside down. I will tell you from experience that inverting can take some getting used to. I hope you have enjoyed this inversion table review. You didn’t know there was so much to consider with an inversion table right? This inversion table is well built and offers a lot of functionality. I really think this table is a good value, for the price. You can find similar units that are priced higher than this and will provide the same functionality. I definitely recommend this table if you are in the market. You can click here for more information, or to make a purchase. Please check out my post for other great inversion table options. If you have any questions or comments, please leave them below, and I will get back to you as soon as I can. As always, thank you for taking some time out of your day, I appreciate it. Ironman IFT 4000 Inversion Table – Is It Worth It? 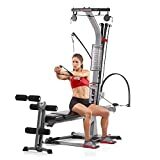 The Ironman Gravity table looks like an important piece of exercise equipment especially for anyone who does regular healthy exercise but has some back problems. There is nothing worse than doing an exercise and stopping because of your back giving out. Thanks for sharing this post, it’s very informative. 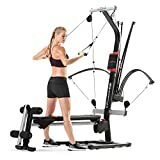 Do you know if this model is available in the UK? Thanks for your comment, Andrew. Unfortunately, this model is not available in the UK, but there are other models that are. 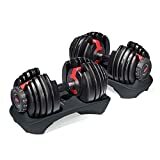 I agree with you, back problems can make working out challenging, but one of the best ways to beat back problems is exercise. Please let me know if you have any more questions! I love this idea. Even though you say it’s heavy, this hardly seems like an item you’d need to move often, which is a plus! If you have the space for it, you are correct, you shouldn’t have to move it often. Some people just don’t want to have it out where people can see it, in that case, they want to move it. Of course, the company that makes the equipment wants to promote it as something that can be stowed away, but it’s not so simple. Thanks for stopping by, I appreciate your comment. Hey Steve, I’ve been thinking about an inversion table. I’m beginning to have back issues, and it’s a family issue as well. You’re right there are so many but your article gives me a good starting point. Thanks. Glad I could provide some value for you Dexter. Thanks for your comment, I appreciate it. I really love the detailed and informative information about Ironman Gravity Inversion Table 4000 because I had been looking for such an item. I love that it is budget-friendly as a unit. The only thing I am worried about is the fact that it is heavy to carry around and needs to be in a spare room of which I do not have currently. Thanx for the great review. Yes, the one problem with these units is if you are limited on space and want to store it away, that is not always the easiest thing to do. Like I mentioned in the review, I lean mine against the wall when I am done with it, that at least helps to get it somewhat out of the way. I agree it’s a budget-friendly unit and provides a lot of value. Thanks for your comment, I appreciate it.